And Yet They Deny: Markets! Finance! Scandal! Yep; It's Time For "The Keiser Report"
Markets! Finance! Scandal! Yep; It's Time For "The Keiser Report"
Courtesy of Russia Today; comes forth a stripped down, no-nonsense outlook on current events within the business and financial sectors across the world. 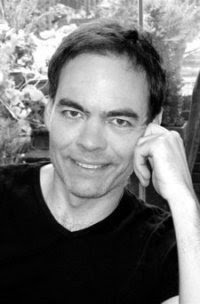 Max Keiser, a former stockbroker come media presenter on both television and radio, as well as blogger for US newspaper The Huffington Post - delivers a comical approach to exposing the downright fraudulent and extremely criminal procedures taking place by the bosses of major global banking institutions (i.e. Lloyd Blankfein, Jamie Dimon...) and bosses in charge of central banks (Tim Geithner, Ben Bernanke, Henry Paulsen, Mervyn King...). The Keiser Report is a great show for introducing how the value of money (both fiat paper money ----- aka FAKE "money" and gold and silver ----- REAL "money" to trade/barter with), commodities (natural resources, materials etc) and the growth/shrinking of industries affects a countries' economy and more importantly; our quality of life. Usually split into two parts; the show first gives some headlines in bite-size chunks which is delivered with assisstance from financial commentator Stacy Herbert; then in the second half focuses on featuring a story in more detail. Below is the latest edition; which talks about "fake rice", Iceland apparently recently discovering the idea called capitalism (lol) and Head Of Commodities for JPMorgan, Blythe Masters; whom is responsible for infiltrating the concept of credit default swaps into the financial market. AYTD thought it be a good idea to also show the previous edition also; as it talks of Facebook's deal with Goldman Sachs, and the [planned] downfall of investment bank Bear Stearns through selling worthless "mortgage securities" to clients (such as smaller high-street level banks), and even to many of their own employees - oh dear.